B artists songbooks for piano. Free sheet music songbooks. Here in one boook the greatest tribute to the most legendary figure of rock 'n' roll. At the core of the book are the greatest hits that put and kept Elvis at the top throughout his all-too-short life. 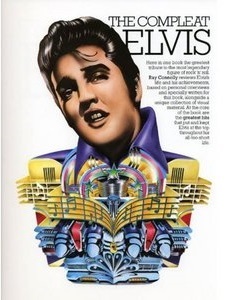 The Compleat Elvis. Sheet Music. Songbook. For Piano with melody, voice and chords. With lyrics.